Home › News › Portable Scores Is Official! On February 9, 2012, Portable Scores registered as an LLC with the state of Wisconsin. This is not, however, where the story of Portable Scores begins. 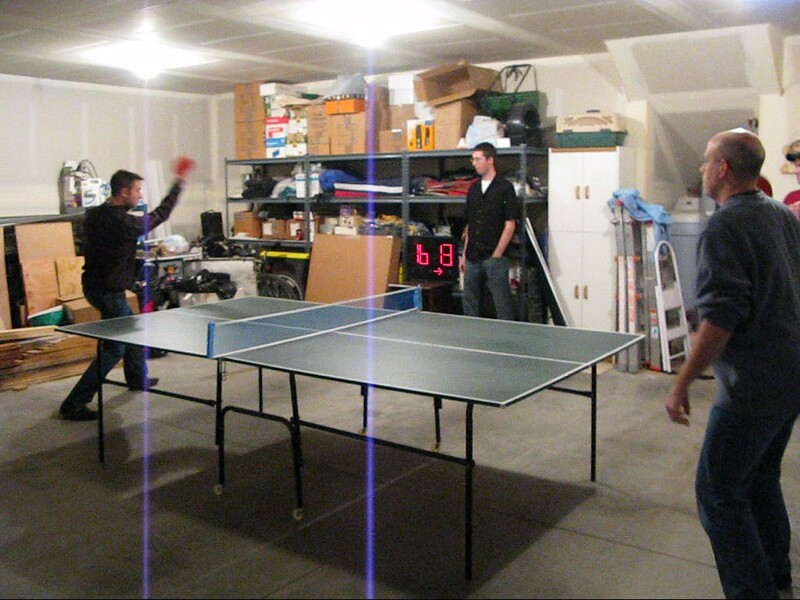 On New Years Eve 2006, Bob Baddeley, Nick Cramer, and Doug Love were playing ping pong in Doug’s garage. As in all ping pong games, remembering the score and whose turn it was to serve was a bit of a challenge. And as engineers, we quickly started designing aloud a project that would track everything, store it to a database, keep statistics on who beat whom how often, etc. It wasn’t long before other features crept in, too, like a buzzer, timers, remote controls, and others. But we all worked at Pacific Northwest National Laboratory, where we had to register any invention, even if it was outside of company time. We did, and asserted that we wanted to keep the rights to the invention, and since the lab had no interest in pursuing it, they signed it over to us. We made an enclosure and started playing with the electronics. Nick and Doug gave up at this point but Bob pursued it half-heartedly and by 2008 had a working demo based on an Arduino. The project then languished for a few years until Bob left the lab in 2011. At that point he started his own freelancing business (WYZGYZ), and took on development of the scoreboard part time. He built a second prototype, this time smaller and better, though still with its own bit of hand-made charm. In December, Bob realized he wasn’t making enough money on freelance software development or spending enough time on the scoreboard, which was seeing greater and greater potential, and he weaned off all his contracts and started on the scoreboard full time. Today, it’s official. Portable Scores only has one person behind it, doing all the work. But he’s passionate and excited and has the skills and ambition to take it all the way.